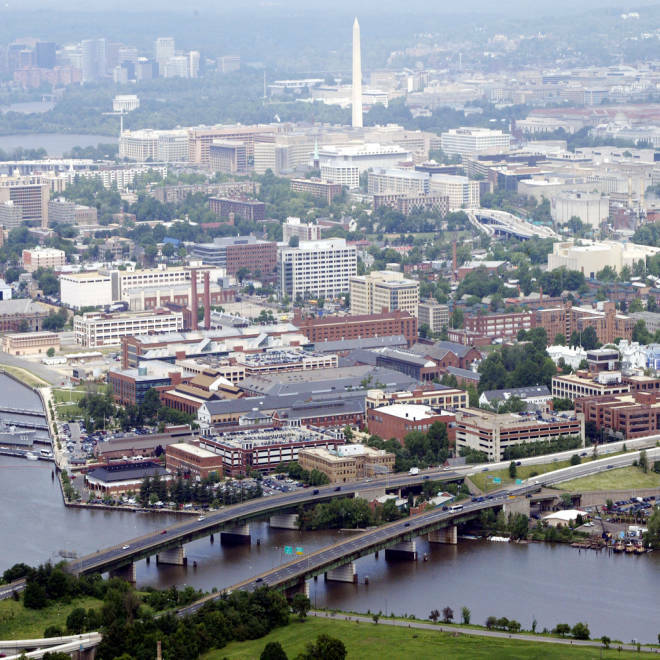 A westward view of the Washington Navy Yard. The Washington Navy Yard, where a gunman went on a shooting rampage Monday, is the Navy's oldest on-shore installation — a 65-acre spread once used as a shipyard and weapons plant, where thousands of people still work today. Purchased at the end of the 18th century, the walled complex along the Anacostia River about 1 1/2 miles from the U.S. Capitol has a storied past. 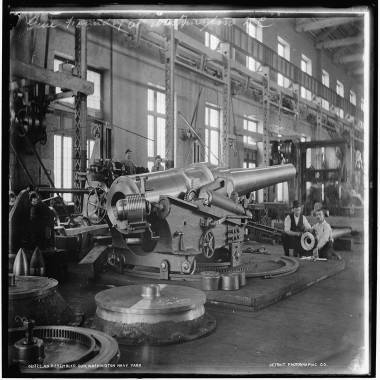 In this archival image dated between 1890 and 1901 from the Library of Congress, workmen near completion on a piece of artillery at the Washington Navy Yard. Commanders ordered it burned to the ground during the War of 1812 to prevent the British from capturing it. Robert Fulton did torpedo research there, and Charles Lindbergh went to the yard after his 1927 transatlantic flight. The locks for the Panama Canal were built at the site. It became a ceremonial and administrative center for the Navy and was transformed into a modern office center in the 1990s. It's home to the Chief of Naval Operations and the Naval Historical Center. It also serves as headquarters for Naval District Washington and several other commands. The Navy Museum is open to the public. Recently, a hearing into sexual assault allegations against three Naval Academy midshipmen was held at the yard. A ca. 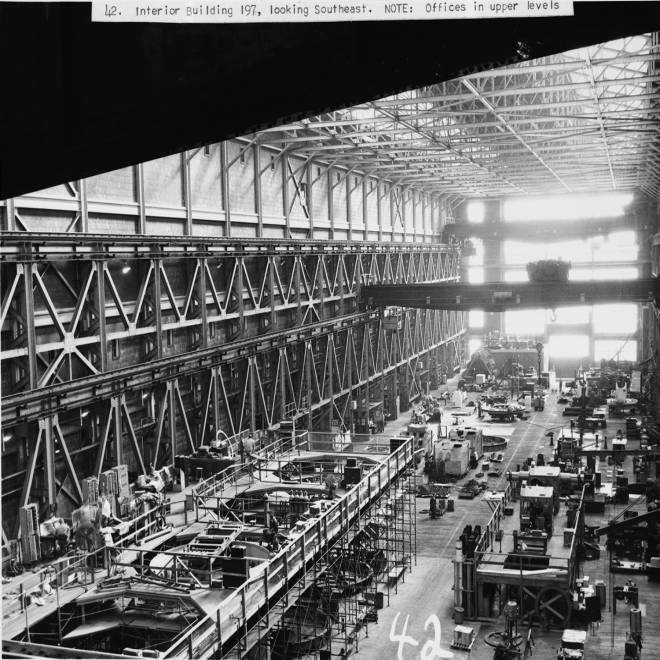 1949 photograph shows the interior of Building No. 197, where the shooting took place. The offices are on the upper level.